Recently, I spoke with Icelander Hrafnkell Flóki Einarsson (Kaktus), who, together with Guðlaugur Halldór Einarsson (Gulli), are known as Captain Fufanu. Kaktus’ father is Einar Örn Benediktsson (KUKL, Sugarcubes, Ghostigital), a very talented musician known throughout Iceland and the UK. 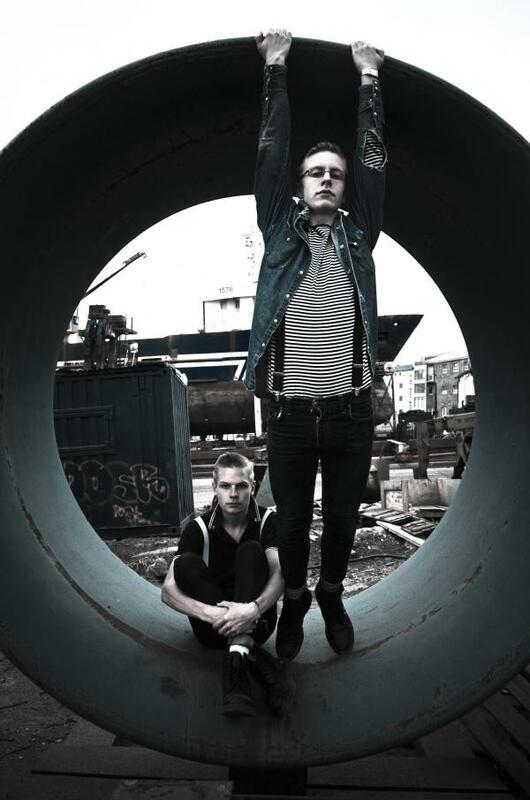 Kaktus and Gulli started making music together in 2008, when they were both 16. The sophisticated deep/dub/experimental electronic music they create is a cool drink of water for thirsty listeners, including Bjork, who appeared at their performance at the last Iceland Airwaves Music Festival (October 2010). How did you two start playing music together? How have you two evolved as a pair since then? We met in school in 2008 and realized we had the same music taste and interest. We started to play together in October 2008 and by December we had gotten a studio and created 30 songs. Our first gig was January 2nd, 2009. Between October 2008 and now, our style has changed a lot. In the beginning, we played electro synth dance pop, but now we feel we have grown up and found the sound we were always aiming for: the deep-dubby techno sound. Where does the name Captain Fufanu come from? Our studio stands by the seaside and occasionally we see a ship or two from outside our windows. Once, while we were in the studio, we saw this crazy ship and we decided we should name our band after the captain of that ship. We drove to the harbor and found out that ship was Turkish and the captain’s name was Fufanu… So we named our band Captain Fufanu. Describe what it’s like to live and play your music in Iceland. The atmosphere is great here in Iceland, but the crowd for underground dance music could be larger. How has your father influenced you or played a role in your evolution as a musician? He’s my biggest critic, so he has played a huge part in my evolution as a musician. He is the first one to hear everything I write and the first one to give me feedback. I’ve also played with him live and toured with him since the age of ten, so my stage performances must be influenced by him. Who were your earliest influences? What are you listening to these days? We listen to all kinds of music, but, of course, electronic music has had the biggest influence on us. When we first started making music, we listened to bands like Kraftwerk, Booka Shade, and GusGus and artists like Stephan Bodzin. We are still listening to the same music, plus many more artists. Our biggest influences now are artists like Miles Davis, Boards of Canada, Suicide, Madlib and Dopplereffekt. Our live performance is never 100% decided. Arrangement of the songs is not fully planned; we just have an idea of how it should be. The crowd controls the rest. So mistakes in our performances are really rare, and when they happen we look at each other and smile. Our live sets never sound the same, and we really like that concept. Let the crowd and atmosphere control our arrangements. As techno farmers in the countryside of Iceland. Do you plan to play in the U.S. (New York – wink wink)? Of course the plan is to play in New York. If we are offered the right gig, we will definitely take it! So hopefully we’ll visit New York City this summer! What advice would you give to other young musicians? Drugs don’t create… you do… do your thing!